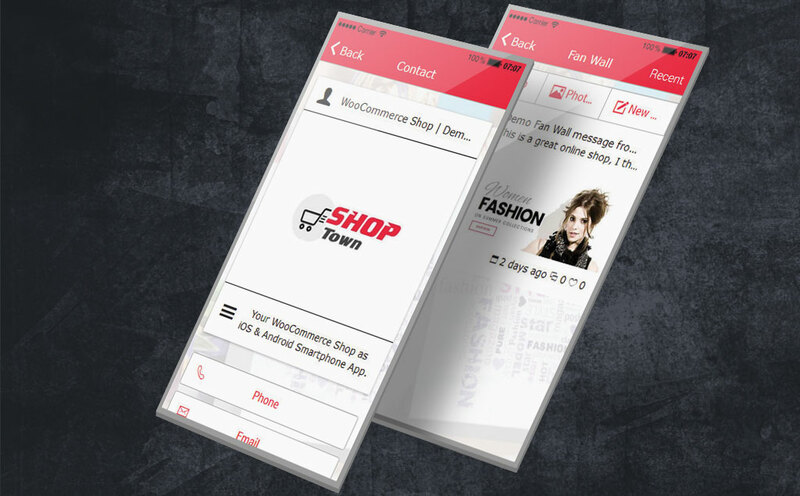 With this app template you get a completely pre-built app with the integration of WooCommerce as well as the WordPress news articles of your website. 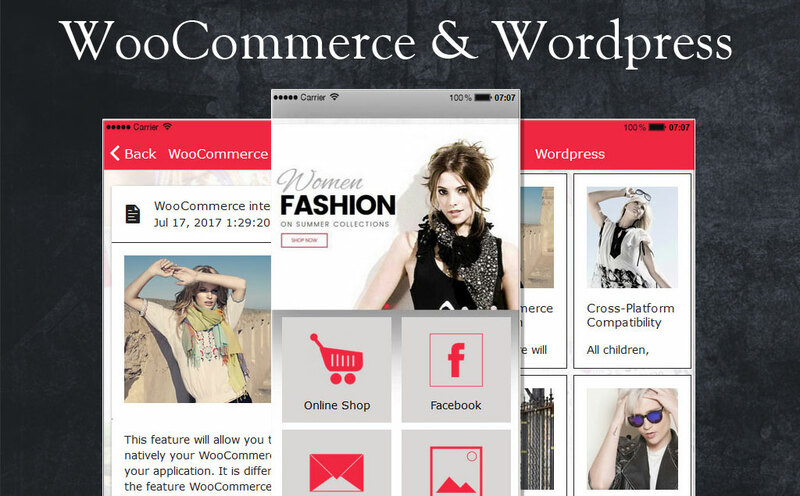 This App is optimal for all WooCommerce Websites. You can customize this source code very easy with our CMS to suit your needs by editing the texts, images, colors, logo etc. After you've edited everything, you'll generate the iOS and Android installation files and upload them to the appropriate app stores. 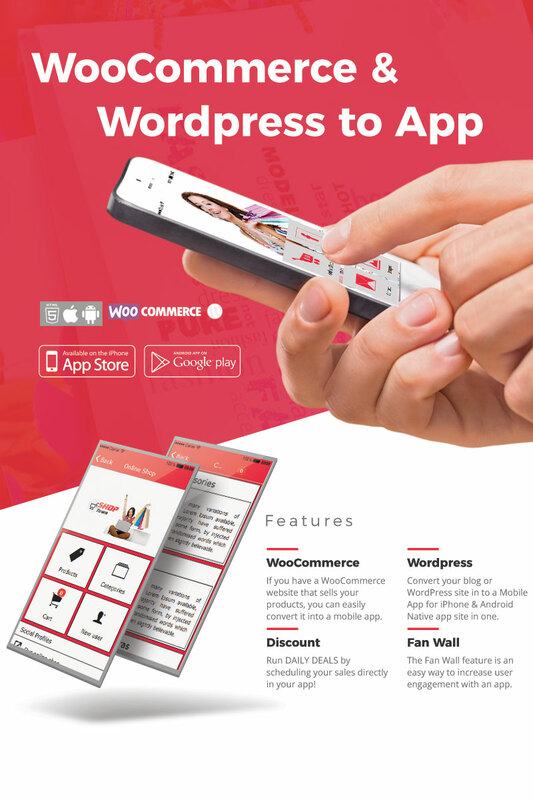 You only install our wp plugin and have to exchange the wp url, images, icons and texts as well as the app name and are ready to publish your app. Please note: The WooCommerce module reads the products from your shop, but if you use product variables so that only one variable is possible. This languages are possible Czech, German, Greek, English, Spanish, French, Italian, Dutch, Portuguese, Russian, Turkish, Chinese. If you need a different language, we will be pleased to send you a csv language file which you can translate independently. 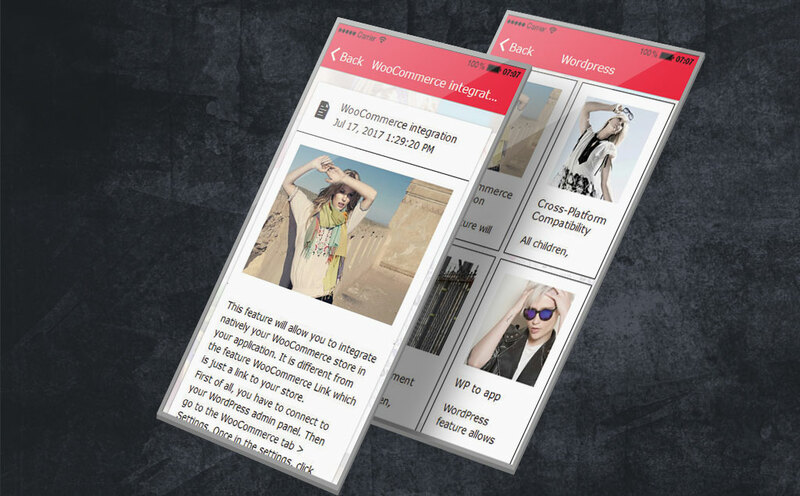 You can easily change all images, icons and text data with the CMS. Once youâ€™re finish, weâ€™ll create the new source code for your Android and iOS app. Now you can create the .apk and the .ipa file and upload it in to the App Stores. A re-upload to the app stores is only necessary if you want to change the start images of the app or the App icon etc. Any changes to the app itself do not require this. 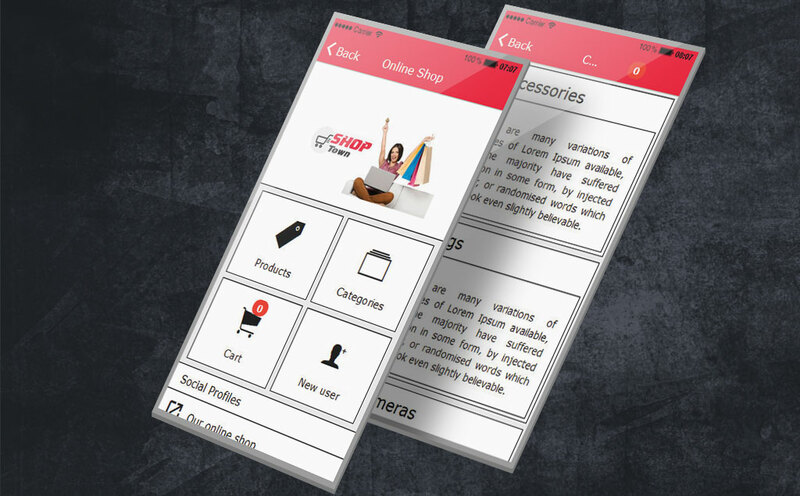 You get the complete iOS & Android source code of the original demo App directly after the purchase. 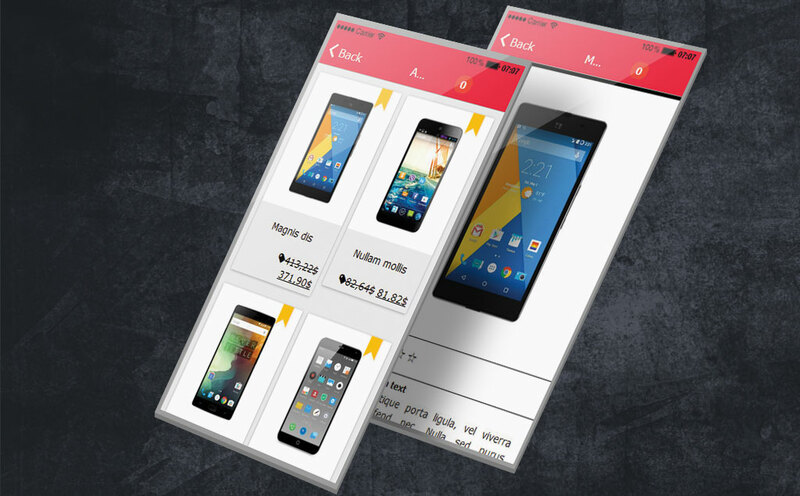 You can edit the source code by yourself with our CMS. After youâ€™ve finished editing the app, weâ€™ll create the updated source code. If you wish, our technical team can also create the .apk and .ipa files for the stand-alone upload to the App Stores. This service is available at a surcharge. The CMS access is free of charge for you as an Templatemonster customer. After registration you will be given access to the app content management system within the next 24 hours and can be edit to your app. Our team is avaiable on working days between 9 am and 6 pm (Central European time) and we will create your account to the CMS within a few hours. The complete access to the CMS is in the first year free. From the second year you have only access to the CMS to send Push notifications.